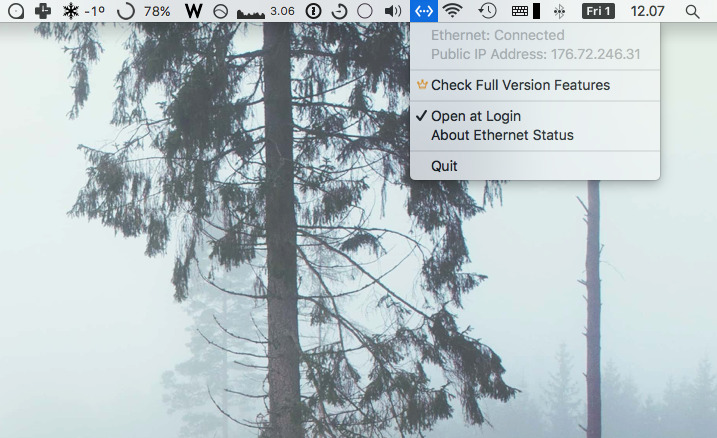 MacOS doesn’t have any way to show ethernet status in menu bar by default. It’s understandable, because it’s not really a very needed detail and you can prioritize the connections in Network Preferences. I have some faulty ethernet pins so it’s not always clicked in and may move and unplug accidentally if my kids pull the cable. For those situations it would be good to know what’s the situation. This superuser.com thread helped me to find what I was lookign for, but I thought this article could save the trouble from you. So thankfully, there’s an app called Ethernet Status. It’s completely free and fills the purpose!